Lovely one bedroom upper duplex, located in the charming and convenient Tangletown neighborhood. Take a short (half block) walk to Minnehaha creek and walking/bike trails or check out several restaurants and coffee shops within walking distance. The space is freshly updated and is the perfect setup for a small family, a couple or a solo traveler. This space is a one bedroom upper duplex in a quaint cape cod style house. The master bedroom is spacious, comfortable and inviting - the perfect place to relax after your day or night exploring the Twin Cities. 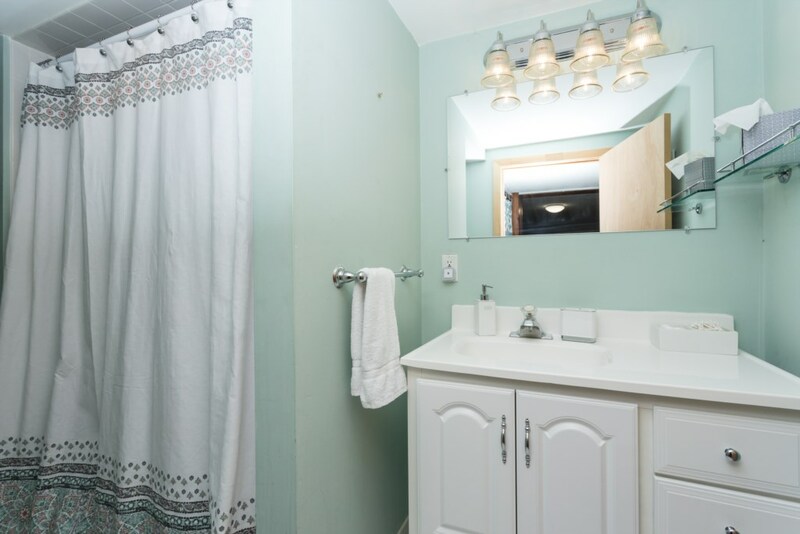 Plenty of storage space as well as a full master bathroom directly off the bedroom. The living/dining area is cozy and open with a desk, couch and internet TV and dining table with seating for four. We have some basics stocked in the kitchen - coffee, tea, and condiments. The kitchen has plenty of cookware and utensils, gas stove, toaster oven and coffee maker. There are so many excellent restaurants in the area, but if you prefer to make meals at home, you should be all set. Guests will have access to the entire upper level of the home described above as well as the back deck. Please note, the main floor is also available for booking separately. Both spaces are separate with their own front and back entry doors so you will not be sharing living space with the other guests. We just ask that guests in both units are respectful and follow the house rules so that everyone can have an enjoyable stay.